Summer is right around the corner, making it the perfect time to start thinking about summer plans for your child. Sure, you can drop your kids off at the in-laws before going to work, but can you ensure your children will be having fun? Instead of hiring a babysitter for the summer, parents should consider sending their children to summer camp! There are plenty of benefits of summer camp for kids. However, once parents decide to send their kids to day camp, finding the perfect camp or program can often be a difficult and daunting task. Day camps are a great option for parents that work during the summer. Not only are they convenient, but they are also a great way to keep children active, help them grow, and create new friendships. There are many kids camp programs available, many different from others. To help parents choose the perfect camp for their child, we compiled some helpful tips to make the decision process easier and less overwhelming. Even though the current weather suggests summer is far away, but now is an essential time to start thinking about summer camp. Many camps quickly fill their spots months before the start date. Plus, many camp programs offer early registration discounts. Due to the demand, it is best for parents to begin researching camp programs sooner rather than later, as there are plenty of amazing opportunities available for their child. When searching for a summer camp, it is important for parents to consider their child’s interests and comfort levels with certain activities. When parents think of children’s camp, many immediately think of sending their kid away to a cabin on the lake. While these type of overnight camp programs do still exist, there are many camp alternatives available, each having its own unique benefits and experiences. At traditional camps, children will explore the great outdoors away from technology, focusing on meeting others and participating in interactive and fun activities. Today, there are many variations of camps, such as day camps. These camps offer similar camp activities in games in a more social setting — usually within a community —where children attend during the day and return home for the evenings. These camps are a great option for working parents, or parents with children who may be too young to attend an overnight or traditional camping experience. Another huge factor that influences the selection of a camp is the duration of stay. Parents should consider how long they are hoping to send their child to camp, whether it is only while they are at work or for a couple weeks. Some children will not mind spending so much time away from home, while others tend to prefer only being away for a couple of hours. Ultimately, this decision is more about the parent’s comfort level. Many day camps offer full duration, full week, single day, and half day program enrollment options, which is convenient for many parents. Do you want your child to be close to home in case of emergencies, or are you comfortable sending them further away? These questions are important to consider during the selection process. Many traditional summer camps are secluded from the city and more involved with nature, while day camps are generally set within the community, offering convenience for the parents without taking away from their child’s experience. Summer camps enable children to be exposed to a variety of experiences, such as athletics, arts and crafts, or interactive learning. Many summer camps make up for the learning loss that many children face during the summer months. It is important to remember that spending a summer focused on one activity or skill can become monotonous for certain children. It is best to choose a camp that offers a variety of activities that keep children active, keep their minds sharp, and enable them to have fun. It is important for parents to keep an eye out for certain offered activities that might interest their children. Unfortunately, summer camps are rarely free. Traditional camps with longer durations tend to be more expensive than others. When looking at different programs, it is important to compare pricing. Parents should think of camp as an investment. Children will learn and grow during their time at camp. They build self-esteem, create new friendships, and gain independence. Sure, some camp programs are pricey, but they come with a seemingly infinite number of benefits. And remember, many camps offer early registration discounts! Plus, as mentioned, many day camps offer weekly and daily prices. There are plenty of ways for parents to give their kids the camp experience without breaking the budget. Did attending this camp help your child grow? How did your child benefit from this program? Did your child like the counselors or camp staff? Is there anything your child did not like about the camp? Would you enroll your child in the program again? 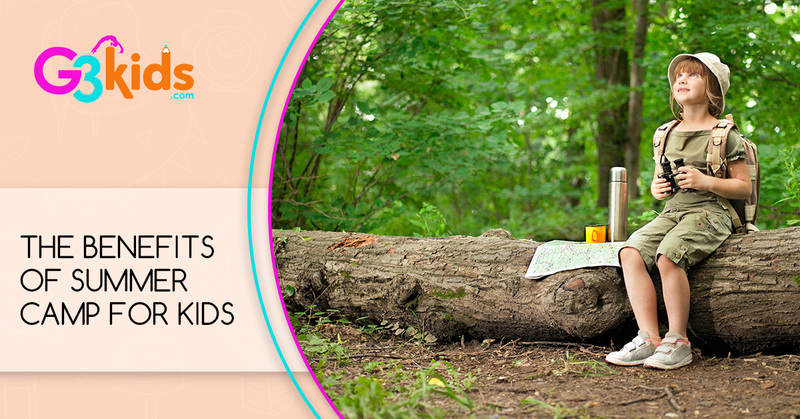 One of the best ways parents can ensure a camp is right for their child is by visiting it themselves. Sure, you can find valuable information on a website or social media page, but seeing the program in person can help make the selection process much easier. Visiting the camps enables parents to experience the activities and camp atmosphere, meet the camp staff, and ask whatever questions that may come to mind. If you leave a camp feeling positive about the staff, activities, and other details you likely have found a camp that will be a good fit. Finding the right camp program can provide a lifetime of memories for your child or children. However, it can also take time and require a lot research, questions, and reference checking. There is a camp for every child, but the key to finding the right one is preparation and persistence. By following the tips above, you will be better equipped to select a camp program that is a good fit for your child. Looking for San Diego Summer Camps? If you are looking for kids summer camps in San Diego, be sure to check out G3 Kids! Our 2018 summer camp program is now open for registration! Our kids day camp program is the perfect way for working parents to ensure their child is remaining active, learning, growing — and most importantly — having fun! Our twelve-week program extends through the summer, with full-week, single day, and half day registration options, and involves athletics, arts and crafts, team building activities, and fun on the beach! If you would like to learn more about our kids summer camp, contact G3 Kids today!